Jean-Pierre founded Vantage Capital Partners, and has ten years of experience with demonstrated success in buy-side, sell-side, and entrepreneurial ventures in Europe, Middle East and Asia. Before founding Vantage Capital, Jean-Pierre was an investment professional at Hera Capital Partners since early 2011; a venture capital and private equity firm focuses on growth capital investments in small-to-mid sized companies across the Technology, Consumer-Retail, Media and Digital sectors within South-East Asia. During his career at Hera Capital, Jean-Pierre advised and executed many transactions and invested over USD 80m across APAC and Europe. Jean-Pierre has been active in portfolio management holding various board seats and successfully executed exits. 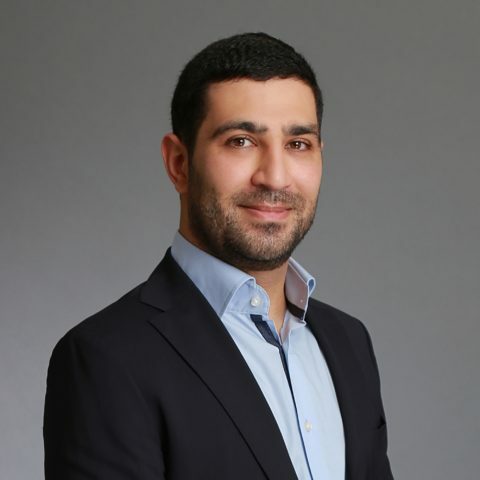 Jean-Pierre started his career in 2006 as founder and CEO of Premium Advisory, an investment-advisory firm based in Dubai, U.A.E, offering tailored investment advice and privileged access to some of the best product providers in the Middle East. Jean-Pierre holds a Master’s in Entrepreneurship from Grenoble Graduate School of Business and a Master’s in Business Administration and Management from EDHEC School of Business. He speaks French and English. Augustin is a Senior Associate at Vantage Capital Partners. Augustin has more than 5 years experience executing buy-side and sell-side transactions across the technology industry in Europe and USA. Prior to joining Vantage Capital in Singapore, he was a Senior Associate at Blueprint Partners, a Paris-based leading boutique investment bank focused on high growth technology companies. During his career at Blueprint, Augustin advised and executed many private placement and M&A transactions for startups across Europe and the USA in ad tech, e-commerce, edtech, travel, social media, retail, industry 4.0, fintech and e-health. He started his career as an entrepreneur, then joined EY as an auditor, the Corporate VC funds of Groupe SEB’s as an analyst (listed French consortium EPA:SK). Augustin holds a Master’s of Science in Management from EM Lyon Business School and studied at East China Normal University (China – Shanghai) and at Rotterdam School of Management (The Netherlands – Rotterdam). Ng Rui Han is an analyst at Vantage Capital Partners. Prior to joining Vantage Capital, he interned at tryb Group and TNB Ventures. In 2013, Rui Han founded Riot Tix, a B2B2C mobile ticketing platform. Rui Han holds a Bachelor of Sciences (Economics) from Singapore Management University. He speaks Mandarin and English. Russell has twelve years of experience in finance, consultancy, and investing. He started his career in banking in London, thereafter moving to consultancy and transitioned to private equity. Russell is a Director at Creador. Prior to Creador, Russell was a Director at Navis Capital Partners, holding roles in Malaysia and Singapore. Prior to Navis Capital Partners, Russell spent 5 years in London, working for Barclays and Newton Investment Management (a wholly owned subsidiary of Bank of New York Mellon). Russell holds an MBA from INSEAD and read Accounting and Finance at the London School of Economics, UK. He speaks Chinese, Malay, and English.